The Tiffen 55mm 82A Light Balancing Filter helps to increase the color temperature by 200K in order to cool the image slightly in order to match the color quality of illumination. When using an 82A filter, you will be able to attain 3200K balance when the prevailing light source is 3000K. The cooling effect of this filter requires a 0.3-stop increase in exposure for normal results. 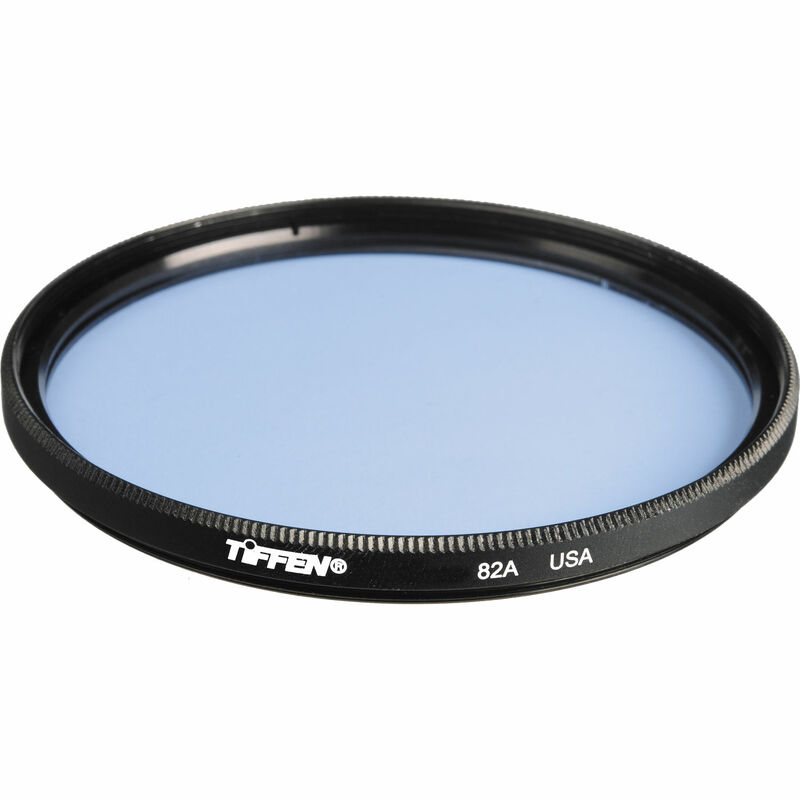 Light balancing filter increases color temperature and provides a cooling effect. Adds 200K in order to attain 3200K color balance from 3000K illumination. Filter factor of 1.3 requires a 0.3-stop increase in exposure. Box Dimensions (LxWxH) 3.5 x 2.8 x 0.6"